Locks provide us with safety and security. If yours have malfunctioned or been damaged in any way, you need help fast. With our lock services in Round Rock Texas, we will work hard to give you that security back again as quickly as possible. We are both a commercial and residential locksmith company that provides a complete range of lock and key services to our customers, we are Round Rock Locksmith Pros! As a mobile locksmith company, all of our trained technicians are licensed, bonded, and insured. We are also a 24-hour emergency locksmith company and we pledge a response time of 30 minutes or less. We understand that emergencies happen, and we will be there for you when they do. Our staff is friendly and reliable, and we know our stuff. In fact, you can rely on us to arrive on the scene with all of the supplies and equipment that is necessary for us to do our job. 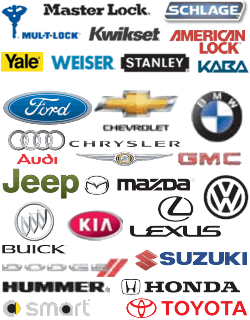 You will not have to wait for us as we go back to the shop or find a dealership that is open. This is what you need from an emergency locksmith, and that is exactly what we deliver. As your local locksmith, we are able to offer residents and commercial property managers a complete range of full installation and repair services. These are useful for a variety of residential and commercial lock system needs. There will be times when you need to have an entirely new locking system installed. We have the expertise to do this for you quickly and reliably. This will enhance the security of your entire building. We can also repair your existing locks! Perhaps you have had a rogue employee leave the building with a set of keys, or you just have the sinking feeling that your existing keys have been compromise in one way or another. We can come and quickly change the keys on all of your locks, business or home, to ensure that only authorized individuals have access. This is a type of lock made famous by Yale, and it effectively prevents anyone opening the lock without the right key. We can these installed throughout your premises in no time at all. Modern technology allows for many buildings to now be accessible without a key. These keyless entry locks are safe and secure, and eliminate the need to keep track of keys. For those secure areas of your facility, a biometric lock can be a useful layer of defense to ensure that only authorized individuals can gain access. These locks are based on British design and involve a lock being cut through the width of a thick door. The mortise must be fit directly into the lock in order to be opened. These lock systems have remained popular over the years because they provide enhanced security and they come in a variety of styles to suite your personal style. Keep your business safe with the most secure type of locks on the market. There are many different things that can go wrong with a lock. A key can break off, thieves can damage them, or they can become rusted out to the point of being inoperable. Whatever the case might be, we can arrive on the scene shortly after you give us a call. At Round Rock Locksmith Pros, your satisfaction is why we are in business. We look forward to serving you soon. Request our locks services in Round Rock TX today! 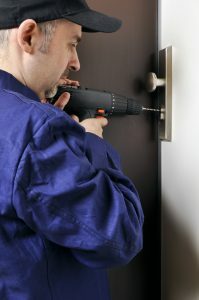 Lock Services https://round-rock-locksmith.com/lock-services/ 4.1/5 based upon 16 reviews. 24 hour Locksmith Service in Round Rock, TX and surrounding areas.